Danielle Alvarez Wolf, Esq. is a founding partner of the firm, where her practice includes healthcare and cannabis law, corporate counseling and outside general counsel services, employment law, and commercial litigation. Ms. Alvarez Wolf has represented multinational corporations, large New Jersey municipalities, healthcare providers such as ambulatory care facilities and physician practices, and medical cannabis cultivation and dispensary licensees and applicants. She has successfully handled matters at the administrative, state, and federal court levels, as well as in mediation and arbitration. She has also counseled healthcare and other clients in connection with regulatory issues and successfully represented them before state agencies and conducted internal investigations. Ms. Alvarez Wolf has co-authored successful applications for licensure in cultivation, cannabis-infused or derived products manufacture or processing, and dispensation in multiple states. She has been invited as a lecturer or CLE panelist in connection with her experience in the cannabis industry. In 2017, Ms. Alvarez Wolf was appointed by New Jersey Governor Phil Murphy (then Governor-elect) to serve on his Transition Team on the Law and Justice committee. Insider NJ named Ms. Alvarez Wolf to its list of 15 “Political Power Attorneys” on the annual Power List for 2017 – the only cannabis industry lawyer to be named to the list. Previously, she was an attorney with Brach Eichler LLC, which was the reconstituted former New Jersey office of Wolf Block. She was also an attorney with Lite DePalma Greenberg’s Newark-based litigation team, where she focused on complex commercial and appellate litigation. In addition, she has experience in corporate counseling, public entity defense, civil rights litigation, class actions, and a wide variety of labor and employment matters, including discrimination and whistleblower litigation, as well as wage and hour class and collective actions. 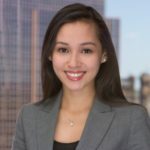 Ms. Alvarez Wolf holds a Bachelor of Arts from New York University and a Juris Doctor from Seton Hall University School of Law, where she was an Editor of the Seton Hall Legislative Journal and continues to volunteer as a mock trial judge. She has served as an Adjunct Professor of Political Science at New Jersey City University, where she taught Constitutional Law.